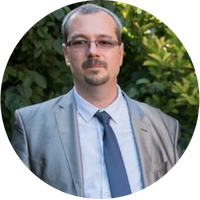 Mihály Kiléber is a Senior Azure Engineer at Softline Eastern Europe with deep experience in SQL Server and Azure SQL services together with dependent components. During the two decades he spent in the IT industry he covered various roles: administrator, dba, IT lead, SQL specialist, SQL senior engineer, partner technical consulting up to a senior Azure engineer at present. He is constantly developing his skills to keep up with the latest industry innovations on the field of Data & AI. He acquired a wide range of certifications and accreditations, including MCS & MCP Implementing Microsoft Azure Infrastructure Solutions, MS RaaS, and RAP (Risk Assesment as a Service) accreditation, 1:1 Packaged Service Essentials accreditation, Cloud Mentor Program and Partner Learning Plans. During this session, we will provide an overview of SQL Hybrid Features capabilities such as SQL Stretch database, Backup to Azure, Replication & Data Sync to Azure. Participation at the Cloud Conference is free, based on prior registration.